I often joke that the only exercises I like are glute-based exercises. But, it’s not actually a joke! Glute exercises are my favorites and I want you to be in on the action, too. 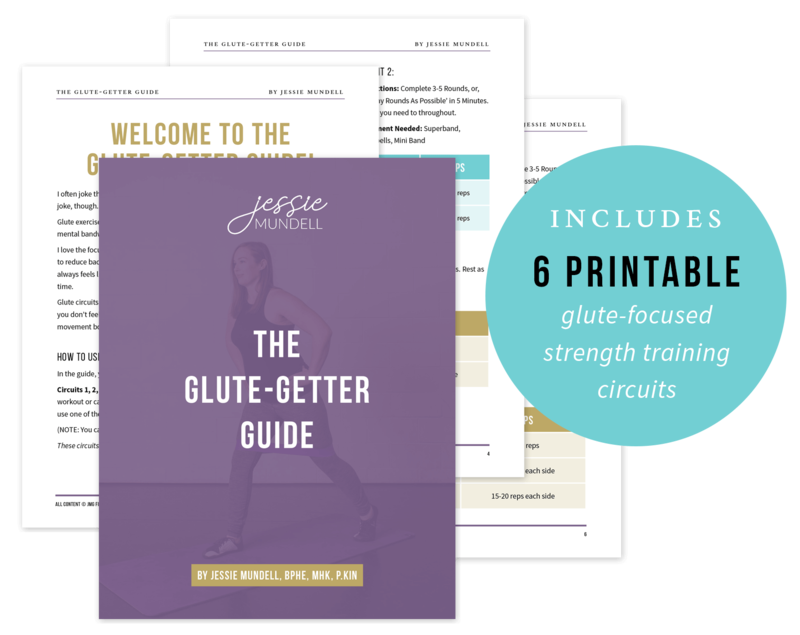 With my brand-new, FREE, Glute-Getter Guide, you are getting SIX of my most loved and used glute focused workouts to test out for yourself. Will give you an effective strength based workout, in a short amount of time, leaving you feeling super successful! 3 Glute-Getter workout circuits that are designed to be done post-workout (or any-old-time) for a ‘glute burnout’. They will take 5 minutes max. Plus, another 3 Glute-Getter workout circuits that are designed to be ‘stand-alone’ workouts. They will take 15 minutes max. Video demos linked for all exercises in the program. An equipment list for each workout.